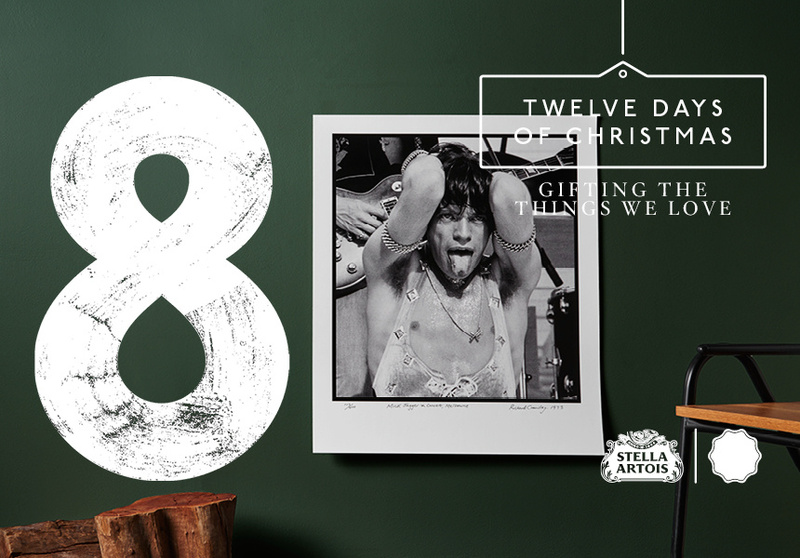 For the eighth day, we’re giving away a Mick Jagger photograph shot in Melbourne, 1973. We love the story behind this amazing photo. Photographer Richard Crawley couldn’t afford a front-of-stage ticket to see The Rolling Stones at the Kooyong tennis stadium in 1973, so he faked a press pass. He ended up snapping this iconic image, taken shortly after Exile On Main Street was released (around the time the band started using its tongue logo) and a few seconds after Jagger took off his belt and whipped the stage with it three times during Midnight Rambler. This photograph is one of 400 limited-edition copies printed on archival paper. In which room of your house would Mick Jagger prefer to spend his days? This Mick Jagger print is worth $1000 and is available from richardcrawleystore.com.